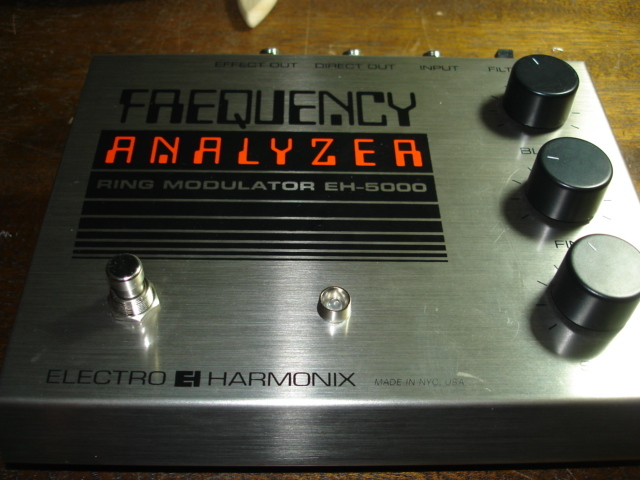 I’m utterly confused why EHX hasn’t been putting LED indicators in the Frequency Analyzer all these years. They are just now coming out with a new model that does, but the one I got is the giant box that you typically see. But I knew you could add an LED pretty easy, so with some help from some Harmony Central guys I wired up a pale green LED in the chassis of my crazy sound box. gut shot - look at all that wasted space! 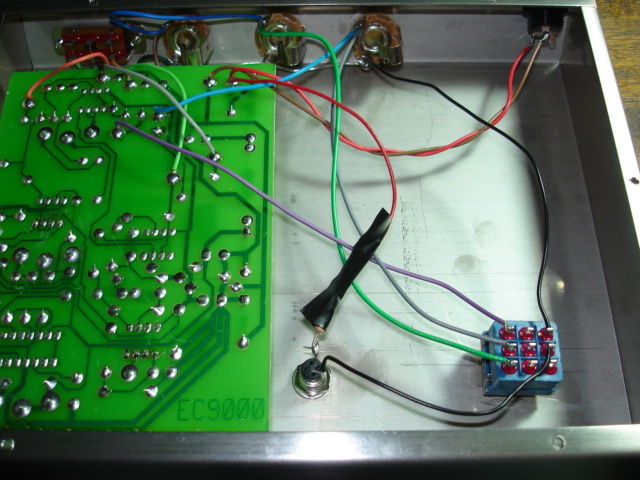 I came across your blog randomly while searching around the interweb for instructions on how to add an led to a Frequency Analyzer. From what I’ve seen thus far, it appears that the footswitch needs to be swapped out (? 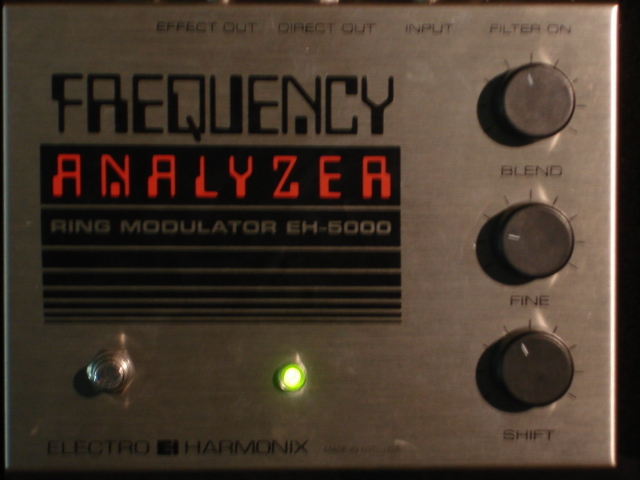 ), but I wanted to make sure I have the right info before I proceed to destructify my beloved Frequency Analyzer. Any chance you might be able to drop me a quick e-mail & outline the steps you took for the mod? The footswitch on the FA is already a 3PDT switch – much more than they actually need to use for the kind of switching. You don’t need to change any hardware out, just drill a hole for the LED and add the LED and appropriate resistor. The resisistor you need depends on your LED, so you’ll need to find a calculator online to figure out what kind of resistor depending on your LED, remember the FA power supplies 40 volts. You can probably follow the wiring based on my pictures: power from the power jack (I wired it to the board) passes through your resistor to the + side of the LED, the negative side goes to the switch where you can see on my pictures. Then wire from the switch to a ground point as you can see on the pictures as well. Really a super easy mod. The hardest part is drilling the hole!